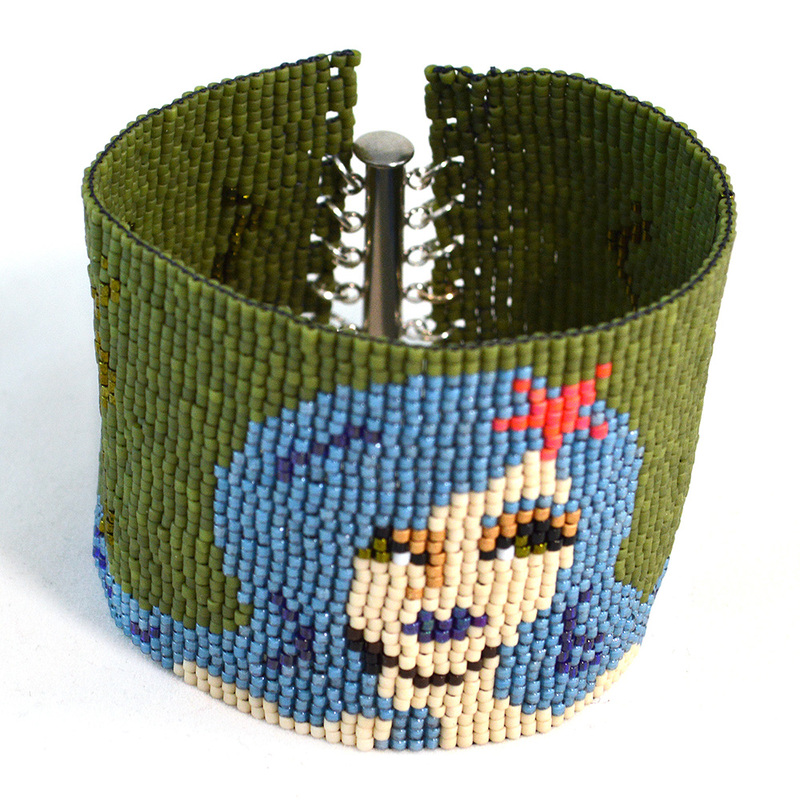 A beautiful bracelet cuff pattern featuring an alluring mermaid with striking, long blue locks. 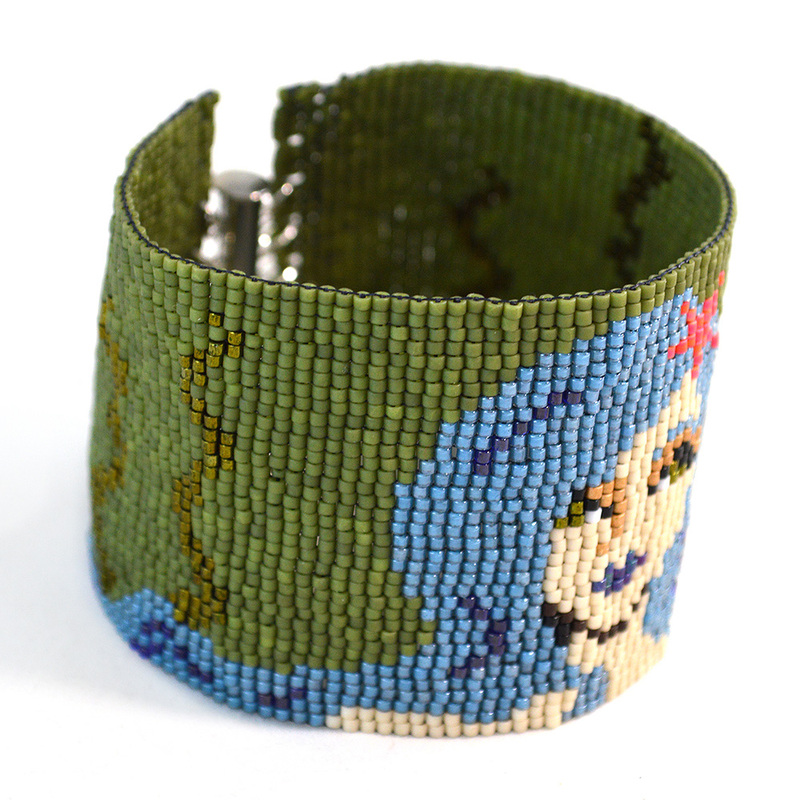 This bracelet is designed for loom or square stitch. When using 11/0 delicas cuff is 7.2 inches long. You can shorten the cuff for slimmer wrists by removing rows from either end of the pattern. Pattern includes a thumbnail image, fill-color chart, and word chart to suit your prefered method of pattern following. This is a pattern only, instructions on how to bead loom or square stitch are not included. Instant download PDF is 5 pages total.